Behold the new Coco Reclaimed Teak Low Side Table, an exceptional accent table from Design Warehouse. 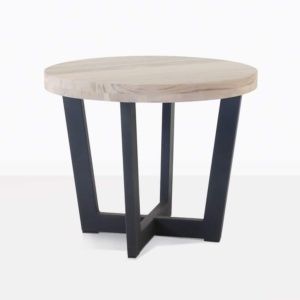 The fabulous Coco Side Table is making waves as a fresh look in an elegant, yet urban design. 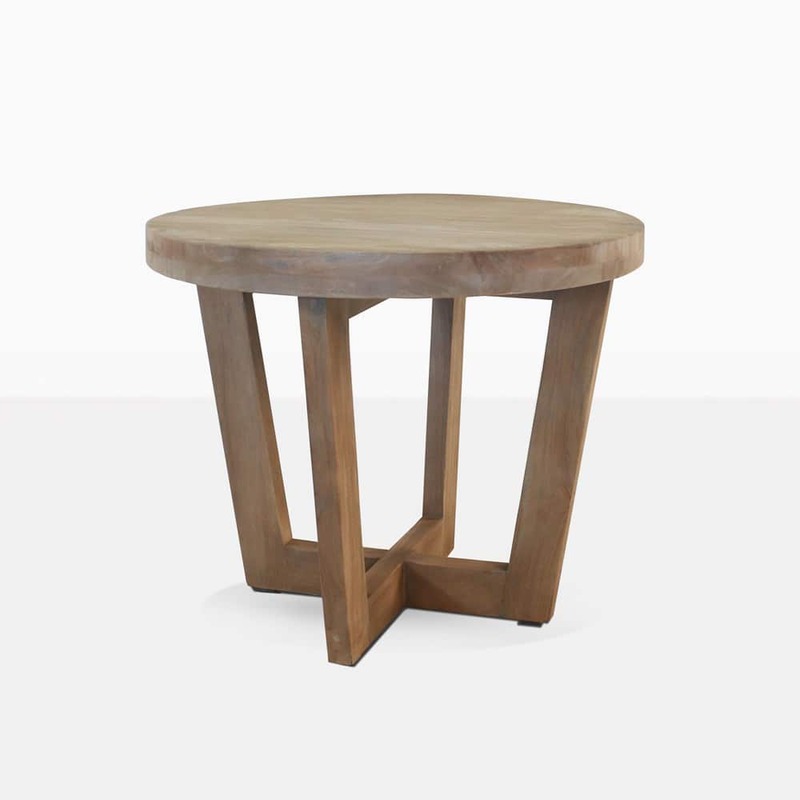 Built out of reclaimed teak, with thick panels configuring the lovely, wide round table top, and legs that fold under themselves in a pleasing cross over design. 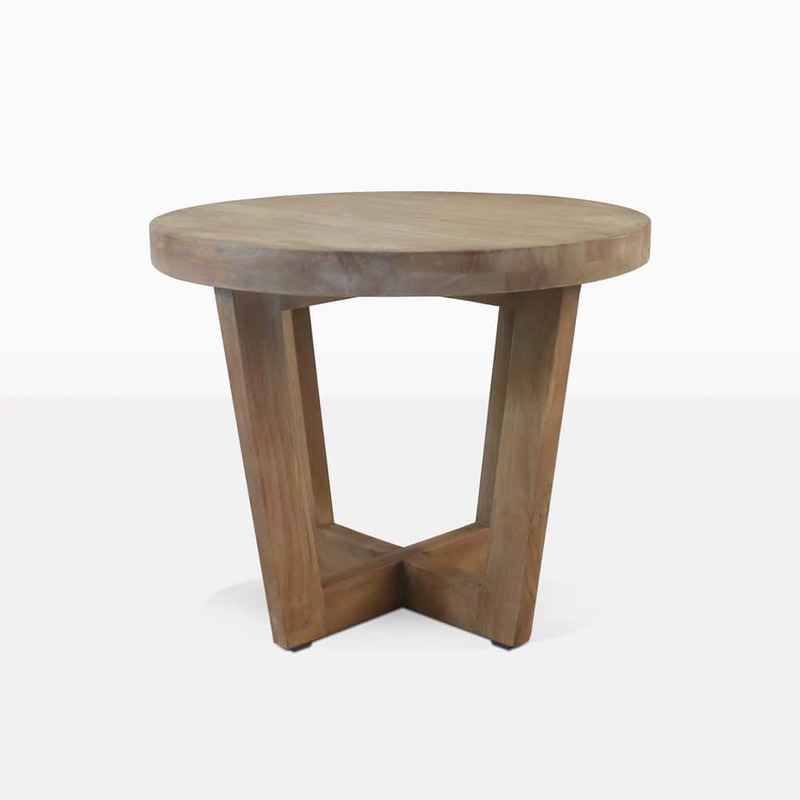 The Coco Teak Low Side Table is a state of the art choice for a modern look that will update your space instantly! Place the beautiful Coco Side nestled in between some of our gorgeous upmarket club or relaxing chairs. For something that echoes the stylish simplicity of major fashion pages, pair up Coco with two Tokio Relaxing Chairs and curl up into this comfortable, celebrated chair and chic side table. Perhaps you want to mix traditional flavour with a modern twist? Put a Coco Recycled Teak Side Table on each side of a St Tropez Sofa in your deep seating collection to define the space in a new, fresh, welcoming way. Pop your drink down on your table and tuck up for a night of conversation, laughter and leisure. Design Warehouse is the major player in outdoor garden furniture. We are incredibly proud of our ample range of tables, deep seating, dining chairs, relaxing loungers, umbrellas and much, much more, and we know you are too! 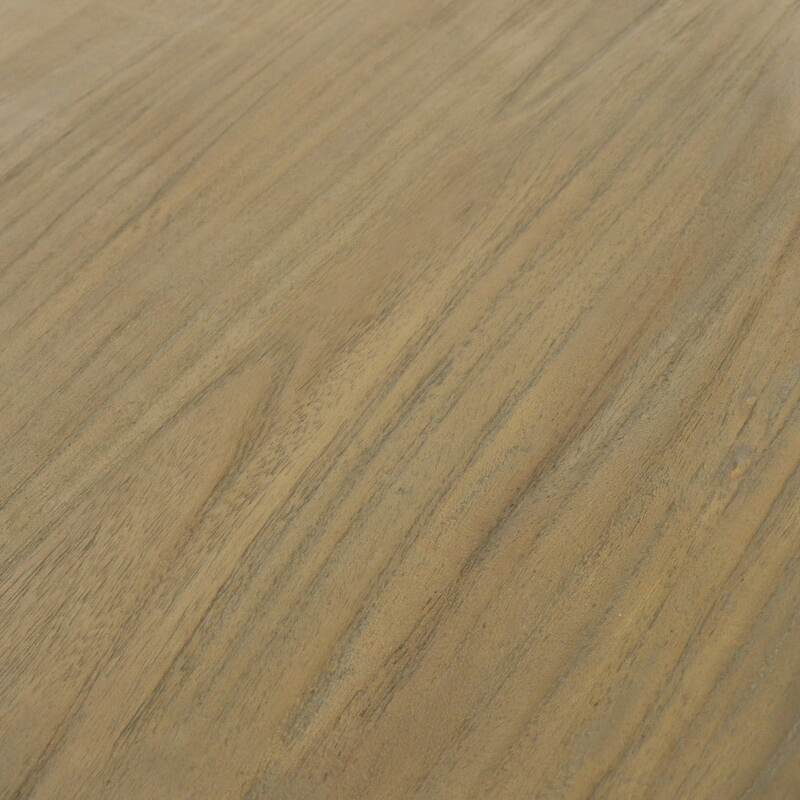 Our customers love our product because as well as being luxury, designer and high quality, we offer wholesale prices. So what are you waiting for? Order your Coco Low Side Table today!